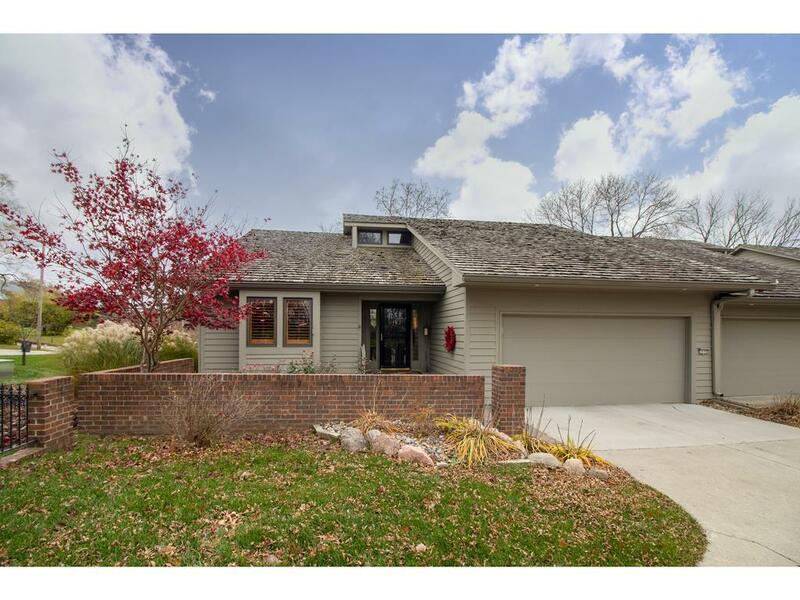 Classy Condo close to Gray's Lake, Wakonda, downtown & airport. Come view this immaculate, spacious home w/open floor plan. Living room opens to kitchen & formal dining & boasts an impressive gas FP w/white marble hearth that will keep you cozy this winter. Kitchen offers updated SS appliances including a Dacor double wall oven, white Corian countertops & neutral ceramic backsplash & floors. Master suite offers vaulted wall of builtin drawers & bookshelves w/natural lighting from tunnel skylights. Master bath has extra large dual shower head, tiled shower & large walk in closet. No carrying clothes up & down here w/main floor laundry complete w/convenient pass thru from master bath. Den/4th bedroom complete the main floor. Completely dry walkout LL includes 2 large bedrooms w/extra daylight windows, beautifully finished 3/4 bath, kitchenette & large rec room. Furnace, AC & water heater all less than 10 yrs old. Enjoy carefree condo life in a serene setting w/mature trees & wildlife.